Did you know our Little Hotties are our best-selling item, like, ever! We sell over 80 different scents which can be blended together to make your own little recipes. Each box of Hotties contains up to 132 hours of fragrance. 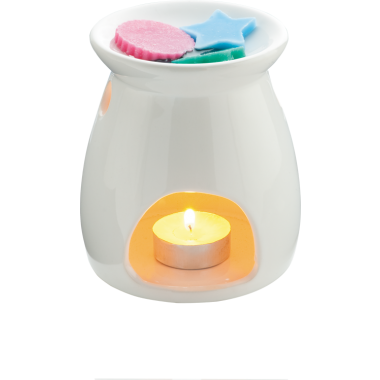 Just pop them in the top of our wax melter, put a tea light below, and fill your home with a fragrance uniquely blended by you! Spring is on it’s way and we couldn’t be more excited to bring the scents of sunshine and blooming flowers indoors. Here are our Top 3 Mixers for March. Escape the every day city life for an escape to the quiet riverside. There’s not much we love more than a nice cream tea! Bring the experience home with you and enjoy the goodness minus the calories. This energising zesty scent will awaken your senses and make you feel so alive you complete all of that Spring cleaning in a day…Or y’know, make you crave a Chocolate Orange or something! Directions of use: Simply add-3-6 Little Hotties to the top of your burner/warmer. There’s no need to add water! Light the tealight, and allow your very own fragrance creation to scent the whole house. Make sure to visit our Candle Safety blog for ways to keep safe whilst burning these beauties! Tea For Two! I love Cream Tea! These sound really yummy smelling!